This article is meant to help you with Fantasy Baseball Auction Strategy in 2019, and we’ll get there. But first I think a bit of a history lesson is in order to demonstrate just how perfect and natural the auction format is for fantasy baseball. Fantasy Baseball comes in many shapes and forms and it’s changed a great deal since the advent of Rotisserie Baseball in the early 1980’s. I’m one of those old timers who still remember compiling stats by hand and waiting eagerly every Wednesday for a copy of the USA Today and the team stats they printed. Later on that turned into my beloved Baseball Weekly. Then in the early 1990’s the internet came along and made it much easier to participate in leagues with people from all parts of the country and fantasy sports exploded, eventually turning into the billion dollar industry it is today. Many of the changes along the way have improved the game, but Daniel Okrent and our fantasy forefathers definitely got one thing right. From the beginning, they used an auction format to acquire players for their teams. That’s right, early fantasy baseball leagues didn’t have any of this snake draft mumbo jumbo. That only became mainstream with the limitations of the early internet. Well, guess what Toto, you’re not in 1998 anymore. Whether it’s in person or online (preferably at Fantrax.com), fantasy baseball auctions are back and better than ever. If draft day is like Christmas, your auction day is like Christmas, New Year’s Eve, your birthday, and losing your virginity all rolled into one. It’s fun. It’s scary. And it will take you to places you’ve never been… I’m only being a little bit dramatic. Point is, auctions are where it’s at and all the cool kids are doing it. You want to be cool right? Of course you do, so sit back, relax, and let’s talk a while about how we can make your next fantasy baseball auction a life-changing experience. Preparing for an auction is a lot more than just grabbing a cheat sheet from your favorite site and heading to the draft. Before we can even think about the auction, we have to attach values to each player. In a standard fantasy baseball auction, each team has $260 to spend on 23 players (14 hitters, nine pitchers). So take those 23 players and multiply it by the number of teams in your league. A 12-team league, for example, will see 276 players go on the auction block. We’ve got to figure out how much we’re willing to pay for each of those players, so we’re not just throwing numbers out when auction day arrives. Attaching a value to each player is a daunting task. First, you have to either find or do your own projections for your player universe. Then you’ve got figure out how much those projected stats are worth for each player. Feel free to do all this yourself, but we’ll have fantasy baseball auction values posted on our Cheat Sheets page very soon or you might try out FanGraphs Auction Values Tool which offers a decent starting point. I can honestly tell you that auction values that are manually configured are going to be more accurate than a generator. With that said the dollar values you start with are only a small part of the equation. Remember, these values are what we expect them to produce. In order to win you have to earn a profit. That means you have to pay less than you expect them to earn. We’ll get into that a little later. A lot of fantasy owners work themselves into a tizzy over every dollar projected. Don’t. The best projections in the world are highly inaccurate. A ballpark number for each player is fine. All your projected salaries are going to change as the auction takes on a life of its own. There are entire chapters of books devoted to devising the perfect amount to spend on hitting and pitching, but generally, a split in the neighborhood of 70/30 in favor of hitting is a good starting point. That means you’ll allocate about $182 to spend on hitters and $78 on pitchers. There’s room to deviate off this allocation to a certain extent, but extremes one way or the other usually end up in disaster. There are also many different strategies associated with allocating the money among your individual players. I’m a believer in building a balanced roster that doesn’t have many holes. This is commonly referred to as “spreading the wealth.” Others swear by a Stars and Scrubs strategy that gets them some great players but can also leave huge holes. Whatever leaning you have, your auction strategy has to adapt to the format you are playing. Your bidding strategy is going to change if you play in a 12-team mixed league as opposed to a much deeper NL-only league. I’m not going to cover too much about roster construction in this article, but I’ll be writing articles dedicated to NL/AL-Only Auction Strategy very soon. Whatever allocation you decide upon, it’s important to have it mapped out ahead of time. I like to use a chart like the one at the right to plan out my salary slots. Basically, cross off each value as you purchase a player. The salaries don’t have to match exactly. If you go over in one slot, just take it from another. This one is something I might use in a typical 12-team mixed league. I allocate money differently depending on how deep the player pool dives. My general feeling is that in deeper leagues I want to spread my value out more and avoid holes. In a shallow mixed league it’s easier to find decent players late so I can be more aggressive at the top end. Some owners will go so far as to attach a position to each dollar amount. I don’t recommend that. You’re just boxing yourself into a scenario that is very unlikely to play out. Tweak the numbers to your liking, but a salary allocation chart of some kind should be part of your auction strategy. It keeps you on course for success. Once auction day arrives, you should be pretty comfortable with the values of every player. You just need to make sure you are ready to handle the hectic pace that many auctions follow. Here’s what you’ll need to handle the chaos. I should add that much of this will be handled automatically if your auction is on Fantrax.com. Even if it is an online auction, you’ll need your player list with projected salaries. You could do this with excel in a separate browser window, but I like to be able to cross off names with a pen and scan my lists while the draft is in progress. If your auction is in person you’ll also need a roster worksheet to track the players you’ve purchased as well as their salaries. You’ll also want to track the rosters, positional needs, and finances of all the other teams. Give this Auction League Tracking Worksheet a try. Knowing how much each team has to spend and which positions they need is vital in the end game where you can steal away good players at fractions of their value. If you use a laptop at your live auction I’ve got an excel program I use. I think it is far better at tracking salaries and positional needs than any program I’ve ever used. It’s free so I don’t want to hear your complaints. I am however always interested in suggestions on improving it. Give my Excel Auction Tracker a try. You should see a download link in the top right corner. Download and have fun. The instructions are limited, but if you’ve ever done an auction you should figure it out pretty easily. However you do it I can’t stress enough how important it is to track the player needs and money remaining for every team in your league. 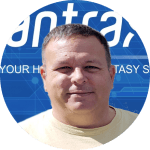 This information can make a huge difference in the end-game and seal the deal on a successful fantasy baseball auction. Now is when the fun starts. It’s auction time! Conventional wisdom has always advised lying back early while the other teams overspend, and then swooping in for the deals later. In my experience, those days are over. Fantasy Baseball Auction Strategy has come a long way. If a player you like comes at a price within a few dollars of your projected values, don’t be afraid to pounce, regardless of the point in the draft. In general you’re still looking to get players below the values you’ve set, but rostering a few reliable stars at or slightly above value is okay. The bulk of your players should be acquired at a price between 70 and 90 percent of the value you have projected them to earn. That’s how you build the profit that goes into winning a league. In this case getting what you pay for is not enough… unless of course if you enjoy 5th place finishes. Spending early is fine, but you do need to enter the end-game in good financial shape relative to your opponents. When there are precious few starting players left on the board, it feels awfully nice to have your pick of the litter. This is when you’re going to vulture the quality players who just never went up for bid. I’m not sure there’s a better feeling than outbidding another owner on a player you knew they were waiting on. Another important item to track is how the league is spending compared to the values you have set. I keep a running total of how much above or below my projected values each player is sold for throughout the draft. If you see that the total overspent begins getting above $30-$40 dollars, then you know that some bargains are going to start popping up. If the totals are running below your projected values, then you need to go into buying mode, because teams are hoarding their money to spend later and the values are happening right now. Just realize that every auction has a life of its own. The owners that identify the spending trends early on are usually the most successful. There are many different strategies as to which players to bring up for bid. Personally, I like to bring up high-value players that I’m a bit down on early in the auction. Some examples might include possible stud hitters like Trea Turner or Vladimir Guerrero Jr. Now, I would have no problem rostering either of these players if the price is right. I do not expect the price to be right on either, so I’ll use players like this to get some money off the table. Of course, sometimes you should bring up lesser-known players that you like. When everyone is flush with cash these guys can slide right by. The key is to mix it up. The only time there is really a hard and fast rule about bringing up a player for bid is during the endgame. Never bid on a player that you aren’t willing to roster, even if it’s just $1. There is one final golden rule of the Fantasy auction; never, ever, leave the draft with money left over. Don’t overspend at the end just to get rid of your money, but every dollar you have left over at the end is production lost. I’ve seen owners leave the table with $20 in their Fantasy wallet. That’s one solid additional player or the winning bids on three or four of the players you just missed on. It’s good to be in control when the end game rolls around, but you just need a couple dollars more than everybody else. You can’t take it with you when you’re gone… from the auction. Whenever an owner purchases a closer, as soon as possible, bring his handcuff up for bid. What may have been a $1 reliever now becomes a $5 pitcher because that owner wants to save insurance. Bid up hometown players … many owners aren’t so good at separating business from pleasure. Make sure your bids hit the magic numbers on players you want to acquire. Basically, these are mental hurdles that owners are hesitant to go over. Typically the $20, $30, and $40 marks are points where many owners draw a line they won’t cross. Occasionally bump the bid by a couple dollars. Sometimes owners are used to the $1 increments and are thrown off when you throw them a curve. Bid on positions where you’re set. Of course, you can’t bid on players if you don’t have a roster spot open, but say you have J.T. Realmuto and you’re not going to get a second pricey catcher, start bidding up Gary Sanchez, Wilson Contreras, and Salvador Perez. Keeping your utility slot open as long as possible really helps here. The most important thing to do is to have fun and not be intimidated. 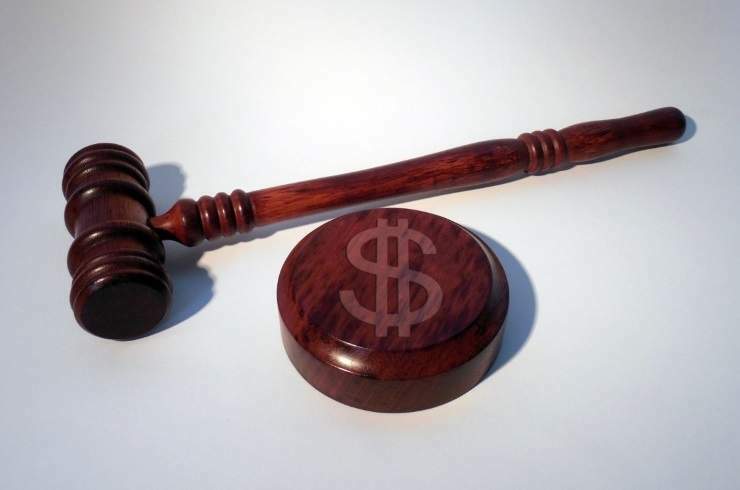 When you check out the results from an expert auction, you quickly see some wacky salaries – everyone makes small mistakes, and the prices are heavily dependent on when they sold in the auction. The key is to stay on course and follow the auction strategy you worked so hard on. So make this the year that you make the big jump. Head on over to Fantrax and experience their Live Auction Draft App. Or better yet, get together with 11 of your best friends, a few cold refreshments and spend five of the best hours of your Fantasy career. Heck, you can get your friends together and still use the online auction tools; it sure beats having one of the owners saddled with auctioneer duties. Got some fantasy baseball auction strategy of your own? Let me know about it on Twitter @RotoDaddy. Yeah, keeper leagues change everything. It’s like jumping in the middle of an auction that some idiot already messed up 🙂 Position and categorical scarcity come a lot more into play. It’s likely you won’t know the keepers until much closer to draft day. When I find out the keepers I first find out how much total money is available to spend and how many players need to be purchased. In a vacuum, you could take each available player’s pre-inflation price and spread the remaining money equally relative to those price tags… I start this way, but then move money around according to my team needs. I’m not gonna lie. At this point, I think it’s just as much art and feel as it is math. You can help alleviate some of the effects of inflation on you personally by bringing up for bid expensive players who excel in categories you are set in. Or maybe you’re set at catcher. Then bring up every decent catcher you can. Piggybacking on Doug’s comment…our longtime auction league installed a $5/yr keeper inflation cost a few years ago to avoid that one guy keeping a $1 Mike Trout forever. Keeper deadline is 1 week before draft, so I suggest taking Doug’s team spreadsheet and filling in everyone’s keepers so you know who has what positions already filled. This will not only identify scarce positions, it will also show you if people are bidding up just to make you spend your money. If you see a guy bidding up a 2B and he already has 2 of them on his roster, you know he’s just trying to make you spend your money. Before it gets out of hand make sure you let that guy know that he can have that 2B up for bid, ideally it’ll make him think twice about bidding him up and getting stuck with 3 2B’s. If you have a team with the high hitter bought at $28 and pitcher at $18 and both go down from there, your team has NO chance ! Sorry but you aren’t going to win any league. Buy couple stud hitters and SP’s, a few solid players in the mid range, sit on your money for awhile, then get bargains and $1 players to fill out your team. In a mixed league, I am certainly more aggressive with salaries. The example salary slots were what I typically use in my AL/NL-Only leagues where it’s very hard to win with holes in your lineup. I should have mentioned that. With that said if you lose two of the studs you’re talking about then you’re done. A balanced approach always allows you to deal with injuries better. It’s just in Mixed leagues it’s easier to fill in your last few slots with decent players or add during the season from the waiver wire. Not to leap-frog your intention, but I’d love to hear your thoughts on a keeper AL-Only league for SPs with minimum on innings of 1,000. There is such a dearth in quality, I’m leaning towards a 60/40 split. I think if you don’t get 3 of the top 20-30 SPs with a minimum of 180 expected innings/per, you’re screwed. Especially since SP invested dollars have more impact in the first half of the year. In truth, I’m inclined to sell out completely on quality SPs/MRs in the auctions and then trade them for offense, once I see who’s left out in the dark…..
Yeah, I could see that if your league trades quite a bit. Thoughts on budgeting for bench spots? For instance, in a $260 budget 12 team league with 14 hitters and 9 pitchers but 6 bench spots, do you budget the $260 for 23 players, 29 players or somewhere in between? So you have to use your $260 to purchase your reserve as well? That throws a wrench in things. I would spend as little as possible on my reserves. You can still grab solid middle relievers and a few decent regular players in a mixed league. In a monoleague you better use every penny to get as many regulars as possible in your hitting lineup. Where that really screws things up is in tracking positional needs. You can budget wisely and think no one can roster that last good middle infielder and someone still has reserve slots open. The more I think about that the more I would not like this setup. The players still count against your salary cap, but never gain value? Or they don’t even count against your salary? How many teams in the league? 14 teams, 30 rostered players which includes prospects. The auction will be the initial draft in order to keep everyone on an even playing field, but after that all player values will be thrown aside and they can be kept at no cost forever. We’ll supplement teams in the offseason via serpentine draft. Great article, thanks Doug. I LOVE auctions as they are much fairer than snake drafts and 10x more exciting b/c you can be in on whoever you wish, instead of waiting for forever for your turn to select a player. Yet, I found it ironic that this article is on Fantrax HQ, yet Fantrax at present doesn’t offer any cash auction leagues. What’s up with that? Certainly it can’t be merely a tech issue, so I have no idea why I have to go elsewhere to play cash auction games. Perhaps Doug, you can get this issue resolved with the big shots at Fantrax so we can play cash auction games here in the future? If you can, that would be great. Thanks. John T.